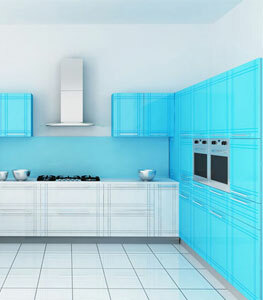 Modular Kitchen is undebatably the “Heart of a Home”. It is not just a place for cooking anymore. Most of the socialization of a home happens here. Modular Kitchens have evolved over time for want of a cohesive solution for Functionality, Space Optimization and Aesthetics. 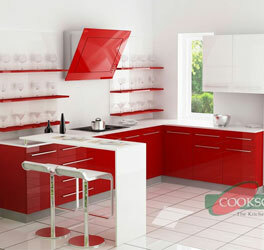 It has definitely created a revolution in the kitchen Design Industry in India and all across the world. Modular kitchens have re-defined the concept of Kitchen Design because of its ease in integrating Functionality and Aesthetics. Kitchen Design in Chennai made up of many individual modules Cabinets, Drawers and Shelves to accommodate different types of Accessories and Appliances. Now, this makes it easy to replace, re-design or renovate individual modules to either rectify defects or upgrade the design. Modular Kitchens are installed using Pre-Fabricated Modules manufactured off-site (Factories with woodworking machines). The modules are namely, Floor Cabinets, Wall Cabinets, Shelves, and Spaces for Accessories and Appliances. These kitchens offer numerous benefits for both the Manufacturer and the Client. This unique production and installation method is becoming popular for a reason! Minimum hassle and planning required. Can be built externally while other work is completed. Requires less on-site labor and expense. Can be customized to suit a variety of purposes. Fantastic for projects with a tight budget. Reduces the overall project build time. Due to its regular use, people often want the perfect kitchen – they want an impeccably designed space that is both functional but homely. Our ability to sense the right form and function to meet our customers' needs has been always the centre of our development at Cookscape. Some of the Basics while Designing a Modular Kitchen. 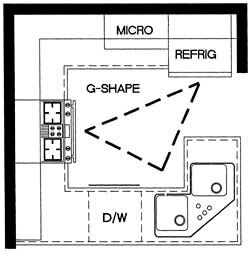 Kitchen’s Working Triangle – the path that you make when moving from the refrigerator to the sink to the stove. The Stove, Fridge and Sink must be the three Focal Points placed strategically. This improves the efficiency in Cooking and Space Usage. A modular kitchen is designed to make life simpler and smarter. Go for materials that are low on maintenance. With a modular kitchen, you can personalise compartments and optimise all your storage space. A pantry is a cupboard (or even a small room) where you can stock different kinds of foods, crockery, and cutlery. Usually it’s used for keeping food items that don’t perish easily. Proper ventilation is the rule of thumb for any kitchen. Your kitchen should not have overpowering smells that repel. There should be sufficient lighting to illuminate each work zone properly. The basic modules are characterized by standardized units for the floor and wall, deep units to accommodate electrical appliances and gas trolleys, and a wide choice of accessories in the form of wire baskets, carousels, adjustable shelves and pull-out units. The kitchen layout is the shape that is made by the arrangement of the countertop, major appliances and storage areas. 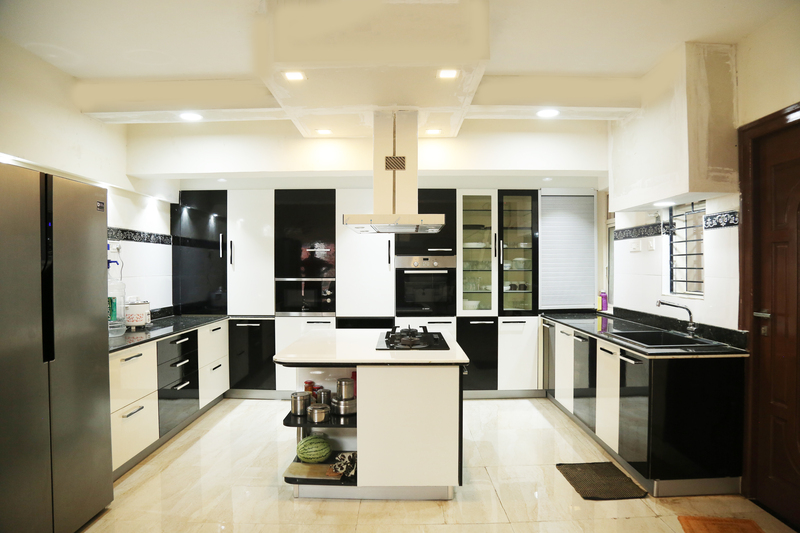 While designing a new kitchen, one of the important considerations is to choose the right overall layout of the kitchen with our designers in Modular Kitchen Manufacturers In Chennai. While certain floor plans create a more spacious, efficient kitchen, each kitchen layout can be enhanced with the right cabinetry and décor. Depending on the overall size of the kitchen, an island can be added to many of these layouts to expand storage and create additional counter space. The width of walkways between cabinetry and the Island is important. 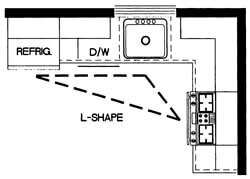 In an L-shaped kitchen layout, a natural work triangle is created from continuous counter space and work stations on two adjacent walls. The benefit of this kitchen layout is that it allows you to interact with family and guests while at work. 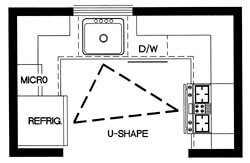 The U-shaped kitchen is the most versatile layout for kitchens large and small because the layout offers continuous counter space and ample storage. In a larger kitchen, this layout gives enough space to be divided into multiple work areas. The G-shaped layout is a version of the U-shaped layout. The difference with the G-shaped layout is the peninsula or partial fourth wall of additional cabinets. 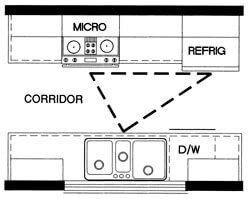 The straight line layout is ideal for smaller homes. The work triangle in this layout is more of a work line with all the three zones along one wall. The corridor layout has a workspace large enough for one person. In this layout, the work spaces face each other on parallel walls, creating a small work triangle.